Munich - Given the manner of FC Bayern München’s quadruple-winning exploits last season, and their slick recent victories over FC Schalke 04 on Matchday 6 and Hannover 96 the previous week, it easy to forget that Pep Guardiola’s are mere mortals too. It will therefore come as a relief to many, no doubt, that Saturday’s 1-0 triumph over VfL Wolfsburg was earned with a good dose of old-fashioned elbow grease. “We worked really hard, we covered a lot of ground and fought until the final minute,” Manuel Neuer said afterwards. “It was a draining game and it was clear to see towards the end that our players were getting increasingly tired.” As the Bavarians’ third fixture in eight days, that is hardly surprising. The visitors set about disturbing Bayern early on, constantly hassling them deep into their own half. 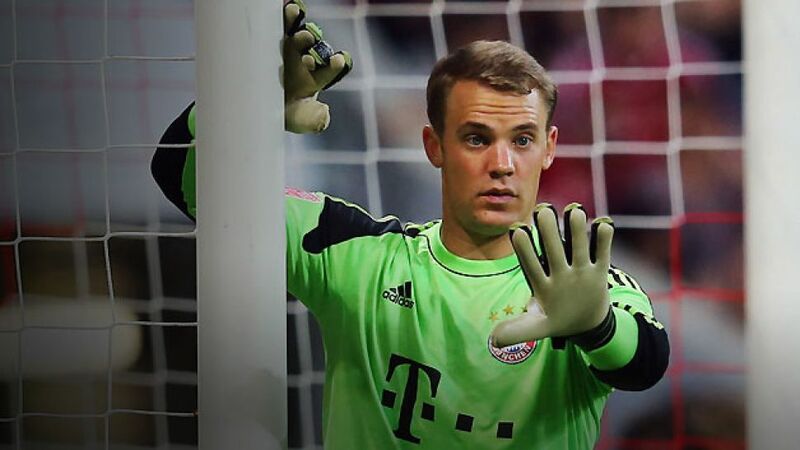 “Wolfsburg pretty much man-marked us all over the pitch,” explained Neuer. “That makes it harder to score.” Indeed, Bayern were surprisingly inactive in front of goal in the first half, with just five shots fired towards Diego Benaglio before the break. The fact that the Wolves collectively ran 4km more than the Bavarians (120km to 116km) come the final whistle is testament to their commitment to stifling Bayern. Equally pleasing to Neuer will be that Matchday 7 brought him a third consecutive Bundesliga clean sheet and fifth in the league this term. Indeed, with just two Bundesliga goals conceded and only three let in across all competition in 2013/14, Bayern are looking ominously solid. “We’ve always been stable at the back and we want that to continue,” the shot-stopper said. First up, though, is a welcome day off, with coach Pep Guardiola having recognised the fatigue in his squad after the final whistle and deciding to cancel the training session that had been programmed for Sunday morning. Who knows, maybe a swift visit to the Oktoberfest will provide the perfect remedy to Bayern’s weary limbs.